Recently, I’ve been to the mall to look around and just as I was about to leave, it blasts through the department store speakers! My first Christmas song since the ‘-ber months’ have started. I don’t remember what song it was but it definitely reminded me that Christmas is more or less 90 days away! One question: have you started your Christmas shopping yet? Didn’t think so. 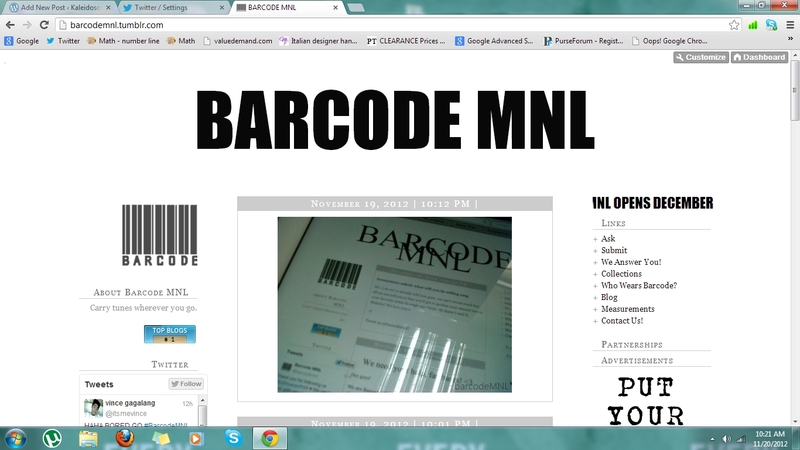 You might want to check this out! Isn’t this the best place to shop and avoid Christmas shopping rush? Fab finds and good food, what more can you ask for? Grand Bazaar is going to be on September 29-30, October 27-28, November 17 & 18 and your last chance is on December 21 to 23. 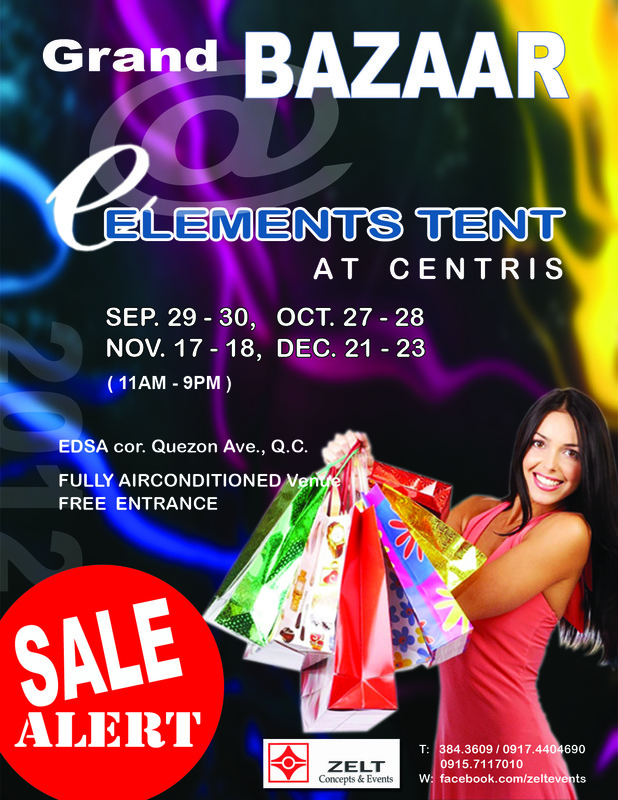 All happening at the Elements Tent @ Centris 2012 (EDSA cor. Quezon Avenue) from 11am-9pm!